Today is Day 2 of Mountains2Beach “Boston-or-Bust” marathon training. After what seems like a super quick recovery week last week from my very slow LA Marathon journey, I’m back in the marathon training craziness. 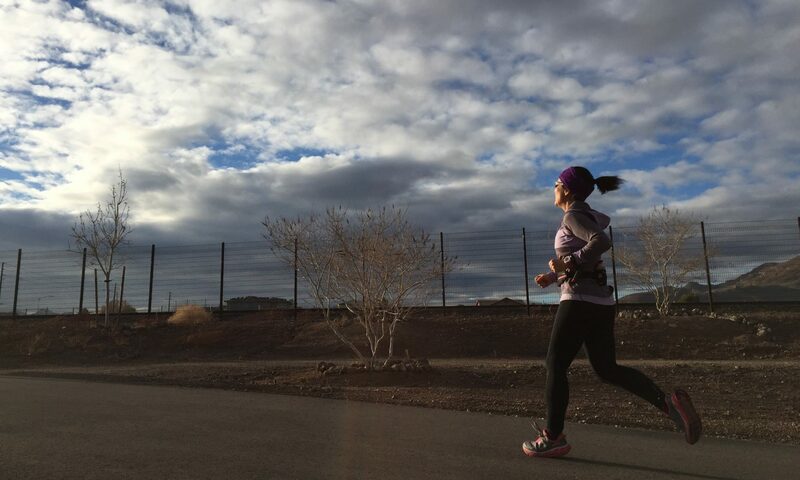 I have 14 weeks until race day – 90 more days! Sunday: Short trail run: 3-5 miles. No pace expectations. Just stay fully focused, don’t trip, keep moving forward. Strength training afterwards, time permitting. Monday: Sorta-long run: 6-10 miles. Easy, “Zone 1” pace (140-151 bpm) EXCEPT for 1 mile, any mile, run at HMP (which is 8:21). Tuesday: Short run: 3-5 miles. Easy, “Zone 1” pace (140-151 bpm) . Wednesday: Hills or 800s. Strength training in the evening, time permitting. Friday: Sorta-long run: 6-10 miles, work up to MP (8:47) after a 2-3 mile warm up. Saturday: Long run: 16-20 miles; Easy “Zone 1” pace (140-151) except for the last 25% of run, to be run at MP (8:47). I hope I don’t get injured. I really really really hope that doesn’t happen. Major injury. Minor injury. Overuse injury. Trips and falls. I’m not going to beat myself up if I don’t reach my goal at this race. I’m a runner everyday, for life. I just want to leave the best race I can possible run on the course that day. Did I mention that I hope I do not get injured? I need to drop 10lbs. It simply has to happen.